Arsenal has had some special midfield players in the Premier League and we look at the cream of the crop. Arsenal supporters might not be too delighted with the team’s performances or results at the moment, although the Gunners are still among the best teams in England and they won their 13th FA Cup in May 2017 to become the most successful club in that competition. In this article, we look at some of the best midfield players to don the red and white during the Premier League era, with the supporters being royally treated to a high caliber in this position over the years. We start with a modern day player and Ozil has largely shone for Arsenal since arriving in 2013 from Real Madrid, with the German helping the Gunners win three FA Cups, while he was also the Premier League’s top assist provider during the 2015-16 campaign. That was an exemplary campaign for the German maestro as he provided assist after assist with each passing game, while playing some mesmerizing football. The 29-year-old generally operates as an advanced playmaker who is comfortable playing on either flank or in a central position, with his trickery making him one of the most skillful players to ever wear an Arsenal shirt. Younger football fans might only be familiar with Merson through his work with Sky Sports, although this was a player who made a grand total of 327 appearances for the Gunners and he managed to score 78 times between 1985-1997. Merson could play in a variety of roles across the midfield area, with the Londoner originally playing in a right-wing position although George Graham started to play him in a more advanced and central position as his career continued. While it rankles with Arsenal supporters to see the Spaniard now operating for Chelsea, it shouldn’t be forgotten that Fabregas was a real breakthrough star with the Gunners, making his debut at the tender age of seventeen (sparking the chant “he’s only seventeen, he’s better than Roy Keane”). 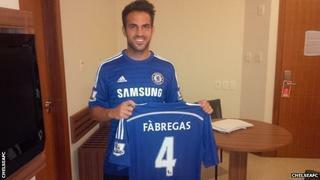 The departure of Patrick Vieira saw Fabregas given the number four shirt and he quickly became the team’s midfield general. The lad had everything in his locker and controlled countless games as a box-to-box midfielder. Fabregas became Arsenal captain during the 2008 / 09 season and should really have won more silverware with the club than a solitary FA Cup in 2005. Pires spent six happy seasons at Arsenal and was part of the Invincibles team that went unbeaten in the Premier League during the 2003 / 04 campaign. The Frenchman was a fast attacking player who was especially noted for his link-up play with Thierry Henry, often forming a telepathic understanding. Between 2002 to 2004, Pires was included in the PFA Team of the Year, with the midfielder having the knack of scoring spectacular goals as well as brilliant technical skill to beat opponents. Vieira can lay claim to being the best ever Premier League player of all time. Between 1996-2005, he made 279 appearances for the Gunners and was the driving force behind them winning multiple trophies during this time. Like Pires, the Frenchman was instrumental in Arsenal going unbeaten during 2003-4, with the team captain proving to be combative in midfield where he was able to win the ball back and distribute accordingly to more skilful team-mates. Vieira had a long loping gait and one of the Premier League’s most iconic images is the player roving forward with the ball at his feet after dispossessing the opposing team. We’d like to offer a big shout out to the football tipsters at Sportsgambler.com for contributing this article. Coming back to work after a public holiday has a funny feeling especially if that day is a Friday but that’s what happens in this part of the world. After the lovely opening ceremony and some Jennifer Lopezification, the World Cup took center stage and it was kinda fun actually watching football as a neutral without giving a ram’s scrotum about who was going to win, lose or draw. Questions would be raised about the penalty awarded for the second goal but it just goes to show that even World Cup referees have a little bit of some English Premier League referee DNA in them. It can manifest when it wants. Drifting away from the proceedings at Brazil, you must have heard about the news making waves in London. Cesc Fabregas, that wasn’t wanted at Barcelona for reasons best known to Lord Voldemort and the Loch Ness monster, has returned to the Premier League. Arsenal released a statement that they had no intentions of signing the Spanish midfielder and many felt that it was a move that they could rue. How nice of Fabregas to remind us the obvious. Unlike the cases of Robin van Persie and Samir Nasri where they left under such acrimonious circumstances, Fabregas was bound to leave to Barcelona and he stated it times without number that he would love return to the home of football, the Emirates. Everybody knows that Arsenal had the option to go for the kill but they chose not to take it. Yes, the Gunners have the splendid Mesut Ozil in their ranks and Aaron Ramsey had shown his quality but having a player of Fabregas quality would have been a major plus. He would have added a lot in terms of squad depth because Arsenal’s lack of depth in key areas of the squad cost the team dearly last season. Maybe Arsene Wenger clearly has his own targets and he chose not to sign Fabregas out of sentiment, but watching the Spaniard spray those his Hollywood passes to the Chelsea forwards would be a painful sight. Then again, the fans would let it all go because he’s a professional and he’s expected to do his best for his new team. I wish him all the best in his new club. Francesc Fabregas earned a place in the spotlight following his breathtaking performances in the 2003 FIFA Under-17 World Cup but under the tutelage of Arsene Wenger, he matured into one of the best players of his generation. His protracted transfer saga was a niggling issue at Arsenal and eventually, the Gunners buckled and let him go for initial fee of £35 million with a further £5 million in add-ons. In 303 appearances for Arsenal, he scored 57 goals and created 100 assists. Since moving to FC Barcelona in 2011, Fabregas has won a La Liga title (2012/13), one Copa del Rey (2012), one Club World Cup (2011), one UEFA Super Cup (2011) and two Spanish Super Cup titles (2011 and 2013). After scoring 42 goals and supplying 48 assists in 151 games for the Catalans, it has been stated (via the Telegraph) that the midfield maestro would be available for £30 million pounds this summer. There are other clubs obviously interested in signing the Spaniard but Arsenal has a buy-back clause as well as the fact that the player himself has stated that if he’s to return to the Premier League, it’s going to be at Arsenal. Many fans are in a state of dilemma in regard to the signing of Fabregas. Gooner Daily has decided to analyse the pros and cons of signing the midfielder. At the end of the 2012/13 season, the manager, players and fans alike knew that Arsenal has to reinforce the squad if the team is to challenge for silverware in the forthcoming campaign. With Lukasz Fabianski and Bacary Sagna already out of the equation, Arsenal has to replace these lads and according to the Express and the Independent, David Ospina and Serge Aurier have been lined up as their replacements. The Gunners are also in pursuit of Sven Bender (via the Mirror) and the Metro reports that the club has agreed personal terms with QPR’s Loic Remy. Using speculated amounts for these players, Ospina would cost around £3-5m, Aurier £7m, Bender £15-20m and Remy £8-10m. Realistically speaking, wouldn’t £40+ for these four quality players than £30m for one Fabregas? Where Would He Fit In? As we all know, Cesc Fabregas is one of the best playmakers in the business but the Gunners have a squad that is flooded with a plethora of playmakers. There’s the German schemer, Mesut Ozil, the Spanish magician, Santi Cazorla, the ageless Czech, Tomas Rosicky and the British duo of Jack Wilshere and Aaron Ramsey. All these players battle for just two playing positions in the middle of the park but Cazorla’s versatility allows him to play on the flanks. With Ozil and Ramsey sure starters, Rosicky and even Wilshere (when he’s not on an unfamiliar wing position) are on the bench. So ask yourself, where would Fabregas fit in? Last season, Arsenal struggled with a lack of balance in midfield. Wenger experienced problems trying to fit Ozil, Santi Cazorla, Jack Wilshere and Aaron Ramsey into the same team. Loading up a team with playmakers might work in games against weaker opposition. But it has routinely failed Arsenal in the bigger contests against fellow trophy contenders. There have been countless occasions when Wilshere, a box-to-box midfielder by trade was forced to play on the right wing and while he excelled in the game against Olympique Marseille in that position, there were many more games he failed to make his mark as well. When Aaron Ramsey played like a jack-of-all-trades yet master of none shortly after his injury return, he was a lightning rod for fan frustrations but when Wenger fielded him in his natural box-to-box role, he flourished. This is where Fabregas comes in. In his career, he has played in the holding role and even as a false nine in his national team colors but we all know that Fabregas played his best football in the hole behind the striker, the position Mesut Ozil currently occupies. Watching Manchester City carry the Premier League trophy was certainly a painful sight but every Gooner would take solace in the fact that Arsenal was just seven points away from the top. Then ask yourselves – how did Arsenal’s title challenge fall by the roadside? Some would say that it was because the Gunners lost Aaron Ramsey, Mesut Ozil and Theo Walcott for a considerable chunk of the season. However, Manchester City lost Sergio Aguero to injury, Stevan Jovetic failed to assert himself and even the red-hot Alvaro Negredo blew cold in the tail end of the campaign. What was the difference between Arsenal and Manchester City in this regards? Depth. In Edin Dzeko, the Citizens had a forward that was very dependable and managed to hold the fort while Aguero was out injured and Negredo was firing blanks. At Arsenal, the loss of Ramsey, Ozil and Walcott created a vacuum that couldn’t be filled by any other player and even though Giroud was dependable enough, he was found wanting in the “big games”. Having Fabregas in the squad would be a plus because he is a quality player that can step for Ozil or Ramsey if they suffer an injury or when they want to be rested. Even the best players in the world struggle when they play in a new club and they require a certain duration to adapt to the new way of life. Fabregas on the other hand has spent a considerable chunk of his career at Arsenal, so he won’t have any issues settling in because of his vast years of Premier League experience. With some assistance from WhoScored.com, I’d compare Fabregas’ stats with Arsenal’s attacking midfielders in the 2012/13 campaign. As the stats show, Fabregas notched up more assists than his peers at Arsenal and he had a whooping 2184 passes with a pass completion percentage of 87%, one percent less than Arsenal’s most accurate attacking midfield passer, Mesut Ozil. Fabregas also had more long passes and through passes than his Arsenal counterparts, which prove that come rain come shine, he remains an efficient passer of the ball. Arsenal can definitely benefit from his eagle-eyed passing range as he was the same player that notched up a century of assists in his eight campaigns with the club. With these in mind, it’s going to be very interesting to see how things pan out. I’d keep you updated as the situation unfolds. The voting sequence for the 2013/14 End of Season awards is still ongoing, so feel free to make your votes count in the polls.